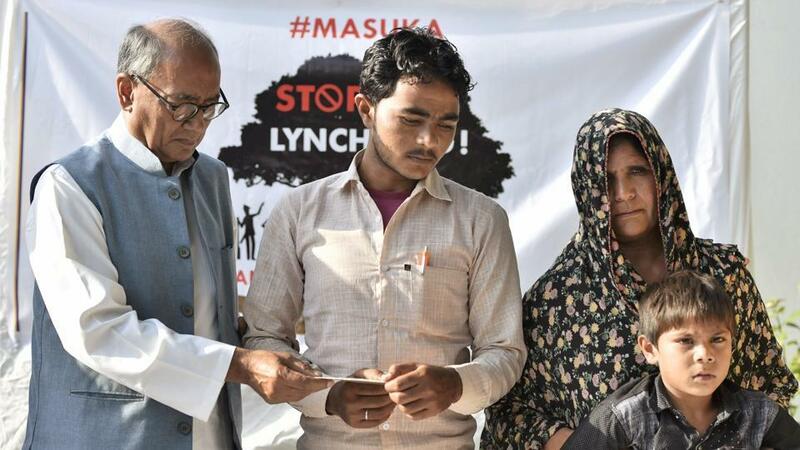 Four key witnesses in the Pehlu Khan lynching case, including his two sons Irshad and Aarif, were allegedly fired at on Saturday morning, while they were on their way to a court in Behror to submit their testimony. Jaipur: Four key witnesses of the Pehlu Khan lynching case, including his two sons, Irshad and Aarif, were allegedly fired upon on Saturday morning, while they were on their way to a court in Behror to submit their testimony. Unknown men in a black SUV, without a number plate, began pursuing their car near Neemrana and open fired at them. “As we crossed Neemrana, a black Scorpio started following us and tried to stop us. When we didn’t stop, they fired at us. 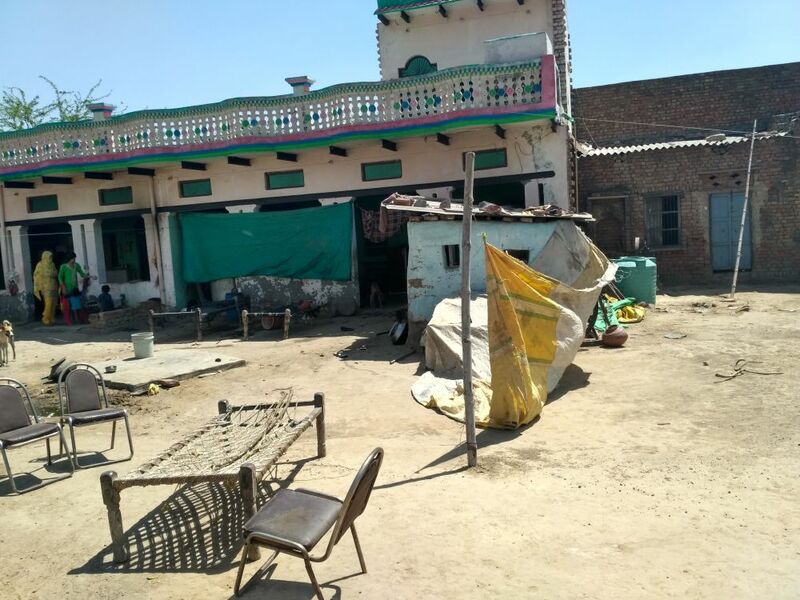 We somehow managed to escape that route and came to Alwar to report,” Azmat, one of the witnesses who was also present in the car during the incident, told The Wire. However, Alwar police are clueless about the incident. “Apart from media accounts, we haven’t received any report about this incident so far. We will definitely proceed as and when it will be reported to us,” said Rajendra Singh, superintendent of police, Alwar. In its hearing last month, the court had framed charges against the accused under Sections 323 (voluntarily causing hurt), 341 (wrongful restraint), 308 (culpable homicide) and 302 (murder), paving the way for the prosecution to present evidence to prove the guilt of the accused. The four witnesses – Irshad, Aarif, Rafiqe and Azmat – were summoned by the magistrate to submit their statements on September 29. In April last year, Pehlu Khan, a dairy farmer, and four others, including his two sons, were attacked by cow vigilantes in Behror, Alwar. They were returning to their homes in Haryana’s Nuh with cows they had purchased at a cattle fair in Jaipur. 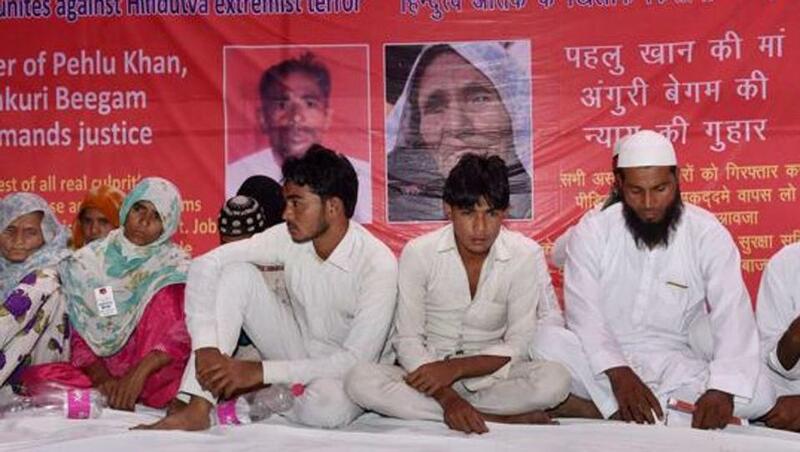 Accusing them of being cattle smugglers, the mob assaulted them for almost three hours between 7 pm and 10 pm. Pehlu succumbed to his injuries two days later. An FIR was registered against the six men under various sections of the Indian Penal Code: 143 (unlawful assembly), 323 (voluntarily causing hurt), 341 (wrongful restraint), 308 (culpable homicide), 379 (theft) and 427 (destruction of property). Murder was added following Pehlu’s death. Five months later, after the Central Investigation Department investigated the case, the police said the six men were not involved and moved for their discharge. Pehlu Khan, gave the statement while he admitted in the ICU at Behror’s Kailash Hospital. As per the chargesheet, Akhilesh Saxena, a doctor of the hospital, was asked to sign the statement. He refused, saying as a private doctor, he did not want to get involved in any criminal case. His dying declaration was included as evidence. However, advocates hired by his family believe that the doctor’s refusal to sign the declaration might have undermined the evidence and it was not taken into account. “Signature of the doctor, judicial magistrate or SDM on the dying declaration is a must. In its absence, even the dying declaration can became inadmissible, which happened in this case,” said Amir Aziz, Rajasthan high court advocate, who opposed the bail orders of the accused chargesheeted in this case. In the statements of the four victims other than Pehlu, taken under S7tutection 161 of Code of Criminal Procedure (CrPC) during the course of investigation, the six men named by Pehlu are not mentioned. The victims say the police deliberately omitted their names to weaken the case. “We were called for our statements only once by the additional superintendent of police. We named all those six men and others who assaulted us. We are illiterate and can’t verify what they have written as our statement. One thing is sure, the police are helping the accused,” Aarif, son of Pehlu Khan, told The Wire. Their advocate hints at the role played by political factors. “Since there is no compulsion of signature of the witness on the statements of section 161 of the CrPC, they can be moulded by the police in whichever way they want. The trial proceeds on the basis of the police report, which is susceptible to be influenced by political interests,” said Amir Aziz. The ADG said that the the CID in Rajasthan has to upload the video records of statements recorded by the CB-CID to the state data centre. “This is done so that no one can tamper with the statements and it is being followed for the past two and a half years. Just written statements are not taken because people can allege that their statements have been manipulated. Anyone can verify if the statements were recorded voluntarily or under influence,” he said. According to the chargesheet, all the six accused named by Pehlu were absconding and had a Rs 50,000 reward on each of them. However, they returned home after the clean chit was given by the CID. “If you see the records available on the Rajasthan high court website, the six people named by Pehlu are not included in the chargesheet. They were not questioned before the investigation was concluded,” said Aziz. The advocates say they never came into judicial or police custody. Following Pehlu’s death, 200 other ‘unidentified’ people were listed as accused in the murder case. Nine other men were also identified based on video footage of the incident, including two minors, and were arrested on the charges of murder. These were Vipin Yadav, Ravindra Kumar, Dayanand, Kaluram, Yogesh, Neeraj, Pavan, Bhim Singh and Deepak. According to the chargesheet filed by Behror SHO Ramesh Sinsinwar, the police found a wooden stick and belt and confiscated the motorcycle used during the assault from a person not named by Pehlu. Yet, eight of the nine accused who were arrested are out on bail and one, Deepak, withdrew his bail petition. “Charges were dropped against Deepak. That is why there was no point of continuing with the bail petition,” said Aziz. Presence of the six in the gaushala? Jagmal Yadav, one of the accused named by Pehlu, is a patron of Dehmi gaushala, which is about four kilometres away from the attack site. The staff claimed that the six people were on their premises during the assault on Pehlu and the others. When the police reached the spot, they took Pehlu and four others to Kailash hospital in Behror, where he succumbed to injuries two days later. It was here that he gave his dying declaration. Post-mortem report of the Behror Community Health Care suggested assault to be the cause of death. “After careful examination of dead body by medical board, the cause of death was shock brought as a result of ante mortem thoraco-abdominal injuries mentioned in PMR report, sufficient to cause of death as ordinary course of nature,” the report read. 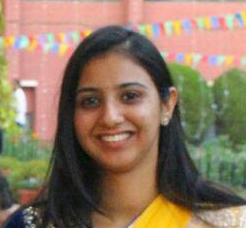 However, the report of the doctors at the Kailash Hospital and Behror CHC differed on the grounds of cause of death. The doctors in their statements to the police claimed heart failure to be the cause of death. When The Wire contacted Akhilesh Saxena, he refused to speak about Pehlu. He said he had resigned from Kailash Hospital and other doctors of the hospital operated Pehlu, not him. Doctors at the hospital were not available to make any comment. The advocates believe that the confusion over cause of death would give the ‘benefit of doubt’ to the accused. 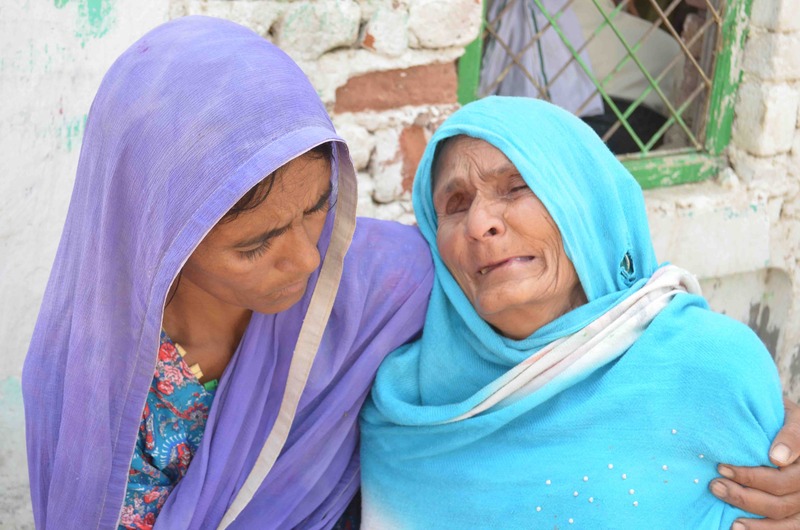 “Two contradictory causes of death would help the accused avoid conviction on charges of murder as they would claim Pehlu Khan died a natural death,” said Amir Aziz. “It is a deliberate attempt to twist the case in favour of the accused. In the map drawn by the police, two sites of offence are not mentioned and neither is there any record of injuries made at these two different locations. How can one prove that the injuries that caused death were made at a specific location and not the other?” Kassim Khan, advocate of Pehlu Khan told The Wire. “During the bail hearing of Ravindra and Kaluram, when the court asked Behror SHO Ramesh Sinsinwar about the evidence against them, he replied that it was poor and weak and insufficient to prove their offence,” said Aziz. The remaining accused, Deepak Kumar, withdrew his bail petition as the charges against him were dropped by the police. Pehlu and the others had the permit of the Jaipur Municipal Corporation for the purchase of cattle. However, all of them were booked under Sections 5, 8 and 9 of the Rajasthan Bovine Animal (Prohibition of Slaughter and Regulation of Temporary Migration or Export) Act for allegedly trying to transport the cattle out of the state without the permission of the competent authority. They submitted an affidavit in the court, pledging they were transporting the cows to sell them to their relatives in Chor Chavandi near Tapukara, a village in Alwar and they had the rawana, receipt of fair tax, tolls and other fees payable under the Act to transport the cattle within the state. “In their statement, they had wrongly mentioned that they were taking the cows to their homes in Haryana instead of Tapukara. So, we submitted an affidavit in this regard. Actually, rules for transportation of cattle in the state are not clear. The Bovine Act mandates the cattle transporter to possess documents of the permission of the district collector or any officer appointed by him. However, the rawana given to the transporter are issued by the municipal corporation under its commissioner, who in also equivalent to the rank of a collector,” said Kassim. “It does not make sense for a person who purchased milch cows for Rs 45,000 to slaughter them, which would earn them a mere Rs 6,000,” he added. The six accused people named by Pehlu Khan who were given a clean chit last year still believe Pehlu was smuggling the cows that day. “We got a clean chit from the police, but still we are undeclared criminals in the society. Everyone is talking about Pehlu and Rakbar, but not about the previous cases of cattle smuggling filed against them. If they are so dear to everyone, then why don’t they install their statues at Rajghat?” Om Yadav, one of the six told The Wire.